SBM Life Science Ltd are delighted to announce a new agreement with Barenbrug UK to market their Green Velvet grass seed brand. The SBM sales team will now be selling and supporting the Green Velvet brand alongside its existing portfolio of brands, which include Baby Bio, Phostrogen, Toprose, Provanto, Job Done, Solabiol and Maxicrop. The Green Velvet brand offers customers a high quality professional standard grass seed, as used in many leading sports arena’s around the UK. 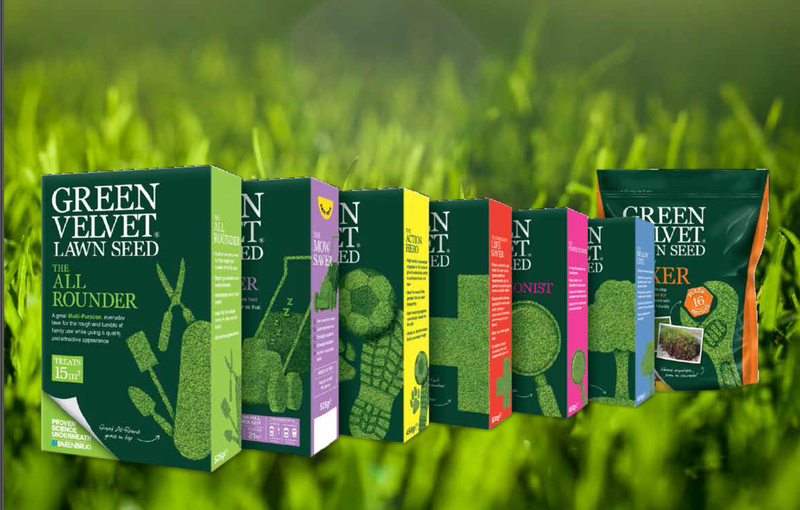 The seed mixtures within the Green Velvet portfolio come directly from the grass bred and developed by the Barenbrug experts to give UK gardeners a greater level of reliable performance compared to most of the products currently available. This high performance standard makes the brand an excellent product for garden retail staff to trustfully recommend to their customers. SBM LifeSceince believe the Green Velvet brand complements their portfolio very well, particularly alongside the recently launched Solabiol Long Lasting Lawn Feed product, which is also is a professional standard lawn care product. Customers will be able discuss this brand opportunity over the pre-season with their SBM sales representative.